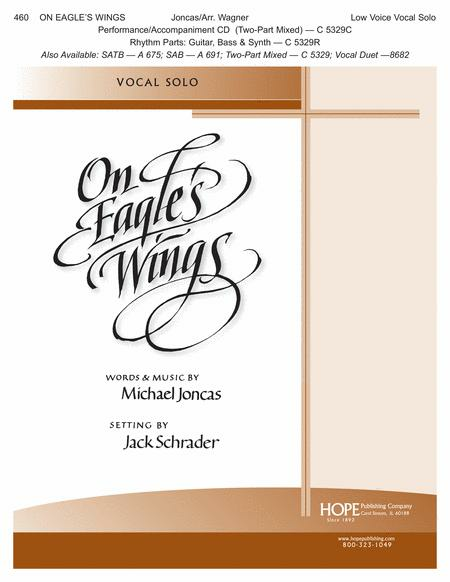 Composed by Michael Joncas. Arranged by Jack Schrader. Medium Voice - Key of E-Flat, Low Voice - Key of C, High Voice - Key of F. Vocal Solo Sheet Music Series. General Worship, Sacred. Vocal score. Hope Publishing Company #460. Published by Hope Publishing Company (HP.460). Key: Key of c. By Michael Joncas. Deuteronomy 32:11, Ephesians 5:14, Isaiah 40:31, Matthew 13:43, Numbers 6:25, Proverbs 30:5, Psalms 118:27, Psalms 3:3, Psalms 37:24, Psalms 4:6, Psalms 63:8, Psalms 67:1, Psalms 7:10, Psalms 84:11, Psalms 91:1-16, Psalms 124:1-8, Ps. 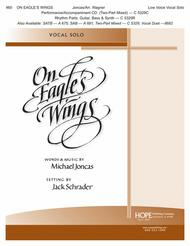 This Michael Joncas song first became popular in the Catholic church and is now gaining wide use in the Protestant church as well. A fitting selection for weddings. I love the key because it isn't as high as many others, but the way the verses are presented in the sheet music is difficult to follow quickly as an accompanist. November 21, 2011 Great song; good arrangement, but..
, you'd be singing the chorus no less than 5 times. It's a beautiful chorus, but even a beautiful chorus can be overdone. My accompanist and I cut out the first chorus and replaced it with a flute intro, then we cut chorus number 4 and went directly from verse 3 to verse 4. This worked out very well. , and that's the prettiest part of the song. The sheet music is long, but nicely laid out. Each verse has it's own music, but the pages are folded, rather than separate, making it easy to figure out where you are. I would say that this music is for intermediate piano players or advanced beginners who are willing to practice. leave no heart untouched at a wedding or funeral services. I will always see this song as a memorial to my daughter Kaylie (b.1/15/01 - d.3/10/07). You will never be dissapointed when it becomes a memorial or a remembrance for one of your loved ones. Blessings! Take care!